It’s Cool to Be Smart! 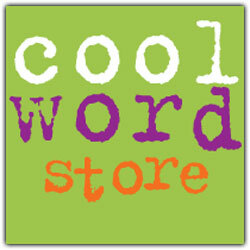 The Cool Word Club (CWC) is a great way to help your students achieve their academic goals in English language arts. What exactly is the CWC? It’s a new and unique interactive forum that allows students to participate in a lively online discussion on the meanings and usages of a wide range of vocabulary words. Because the CWC believes that students have a lot to say and need a place to express it, we also pose general questions—often related to current events–for our online discussion. And all this is free! Students (and classes) can sign up to receive via email two free “teacher-tested” blog posts each week on advanced (and sometimes unusual or quirky) vocabulary words. For each post, students are encouraged to respond to a related question “Speak Your Mind”—or they can simply read other students’ comments on the topic. All comments are monitored for appropriateness. Students can also nominate (and vote on) their favorite words and submit essays that they write on a wide range of topics. The key element of the CWC: It’s fun! Ask your students to sign up and receive the CWC blog entries via email each week. Assign the blog entries as part of your weekly reading assignments on vocabulary words. Discuss in class the questions raised in the blog postings and/or ask students to write a reply online in “Speak Your Mind” (and submit it to you for grading). Participation in the CWC is also a great way to give extra credit. This story is hard to believe, but it’s true. A calico cat named Willow somehow made it all the way from Boulder, Colorado, to the streets of New York City. How did she do it? Well, the cat had gone missing from her Colorado family five years earlier, so some people imagined that she took a peripateticDefinition: Traveling from place to place journey on foot, wandering from town to town for days, months and even years until she reached her destination nearly 2,000 miles away! The story that’s more likely, however, is that the sweet kitty was found by someone who took her by car or plane to New York City. Do you know anyone who is peripateticDefinition: Traveling from place to place? The CWC’s model of self-directed learning may be just what your students need to complement their traditional studies. Give it a try—and let us know how your class responds.